A root canal treats an infected tooth and saves it from needing to be extracted and replaced with a bridge or implant. Unfortunately, root canal therapy is extremely misunderstood and gets a bad rap because of inaccurate information. Spreading myths about root canals is dangerous because it can cause someone that needs treatment to postpone or avoid it. Dr. Ali Mansouri and Dr. Shery Mansouri of Serene Dental Center want to pull back the curtain on some of the most commonly perpetuated myths about root canals. We hope that this information can help motivate people to pursue the treatment they need. Root canal therapy is painful. A root canal does not cause pain. It actually relieves pain! The most common indicator of an infection requiring root canal treatment is a toothache. 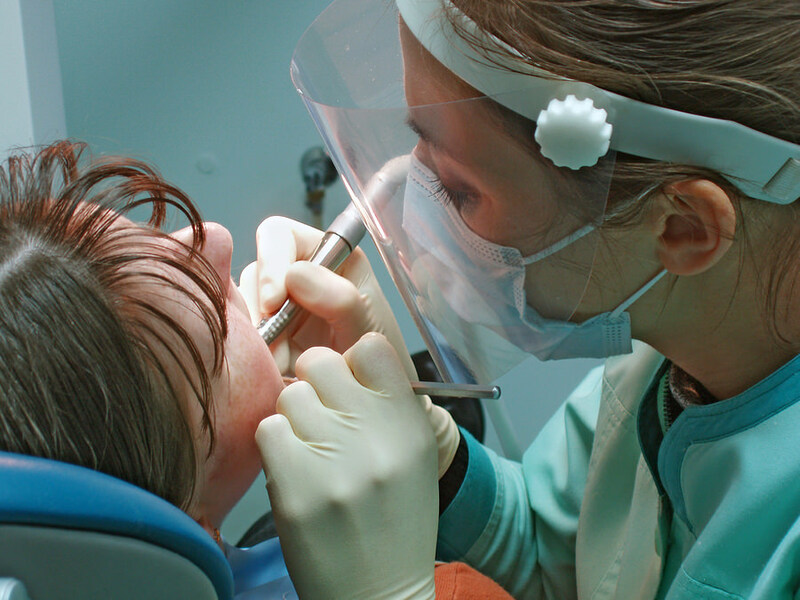 During root canal therapy, the infected and damaged tissue of the tooth is removed to relieve discomfort. Thanks to advances in medicine and technology, this process is not painful. The best dentists know how to minimize discomfort and make the experience virtually painless. Only patients that are in pain need to have root canals. Toothache may be a common indicator of root canals, but some teeth become infected and die without causing any pain at all. This is why regular dental examinations are key to detecting problems and intervening early. A dental examination may find “silent” evidence that a tooth has decayed or died and a root canal is necessary. Pulling the tooth is better than rehabilitating it. If a tooth is infected, some believe it is best to remove it altogether instead of performing a root canal to save it. The truth is that nothing compares, in terms of oral health and strength, to a natural tooth. A trustworthy dentist does everything they can to save the tooth. A root canal is typically less invasive and less costly than removing a tooth and replacing it with a bridge or an implant. Root canals can lead to illness. Some people mistakenly believe that a root canal can cause serious and deadly diseases, such as multiple sclerosis, Lou Gehrig’s Disease (ALS), lupus and certain types of cancer. There is absolutely no truth to this claim, and no scientific evidence suggests a link between root canal therapy and any life-threatening disease. Even insinuating that a root canal leads to illness is dangerous. For more information about root canal therapy, please call (949) 748-7373 or email Serene Dental Center today.